Triberr influencer campaigns are different in two ways. First, you're endorsing a campaign as its spokesperson. And second, the campaign is executed collaboratively. Let's explain these two points in a greater detail. Most influencer marketing campaigns involve a brand asking a blogger to write a post about it. You'll recognize these posts because they almost always include an apologetic statement about the blogger writing a "sponsored" post. A Triberr campaign is not based on a single post. You're hired for a specific length of time. Usually a month or more. During this time, you are a representative of the brand. This changes the way you approach the campaign. The conversation changes from "oh, I'm so sorry for writing this sponsored post and making a few bucks" to "I'm representing the brand, so of course I'm going to write about it". Subtle but important difference. Advocacy of brands I work with is front and center for anyone who cares to see it. My support of these brands is genuine and enthusiastic. Also, notice how I just disclosed my relationship with these brands while both promoting them AND bragging a little. This is easy to do when the relationship between the blogger and the brand is properly matched. But there is also the Triberr culture, which contribues as much to the proper selection as the Selection Algorithm itself. We expect -in fact, we demand- that bloggers self-select. Don't join a campaign only for the money. Join because you believe your blog and your online presence are congruent with the campaign. This way your support is genuine and enthusiastic. And this matters. A LOT. The other way in which Triberr campaigns are different is that they are collaborative. And I mean, VERY collaborative. Every time you create Original Content (OC) that is relevant to the campaign, others make it count by sharing, commenting, and generally bringing attention to it. There are infinite amount of ways in which you might be able to bring attention to the campaign. Use your imagination. Once Original Content is created, other members of the campaign tribe jump on it to make it count. Sharing on Twitter, Facebook, Pinterest, etc. Changing the approach to campaigning from a single sponsored post to a month-long (or longer) engagement enables the blogger to advocate in a different -and better- way. 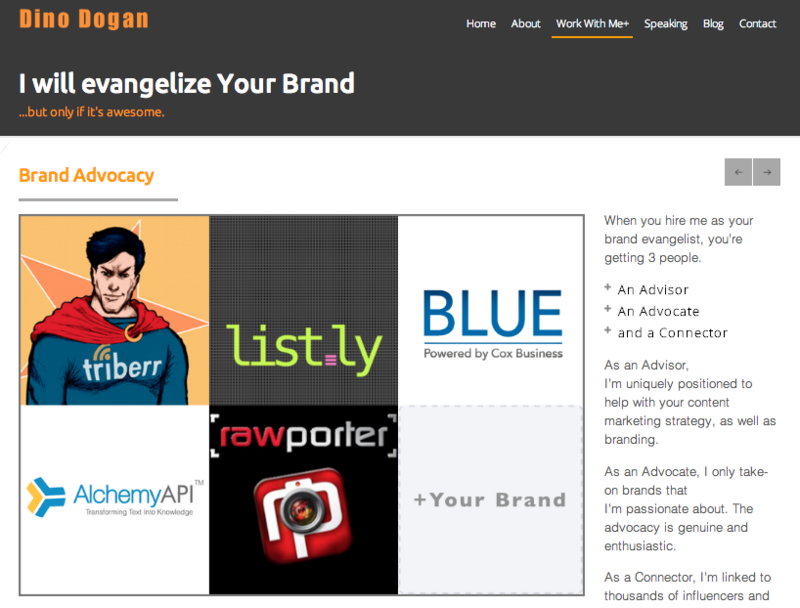 Having your tribemates amplify your campaign efforts helps you, the blogger, as well as the brand.